When it comes to brand design and web development, we have it covered. 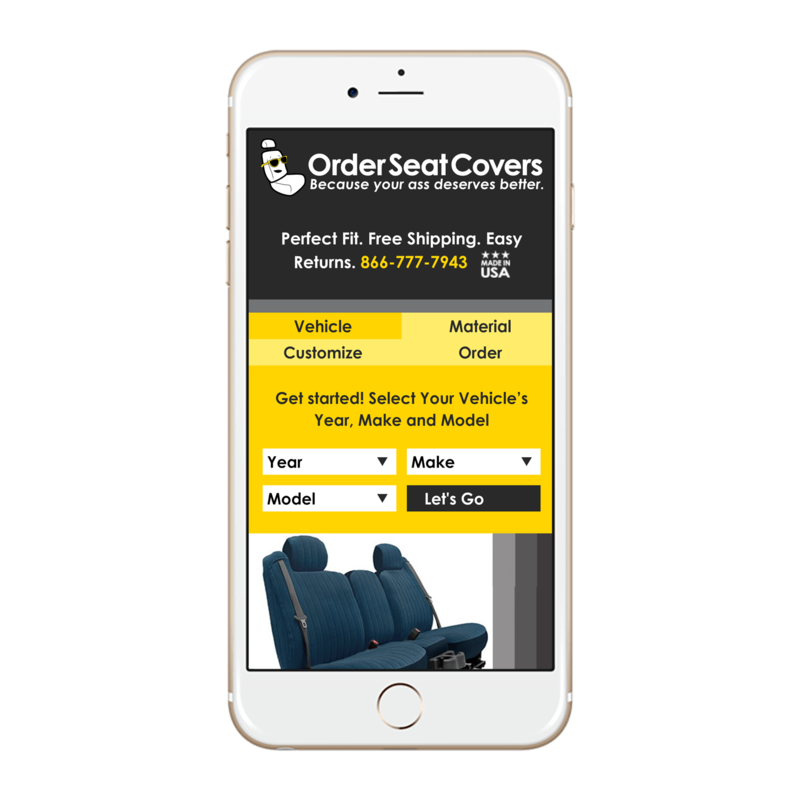 OrderSeatCovers.com provides premium, tailor-fit seat covers manufactured in the USA. Their business objectives were a fun and unique brand mark, and an improved, secure, and user-friendly shopping experience to attract new customers. We designed an iconic, cheeky logo as well as mobile-friendly and user-friendly site.